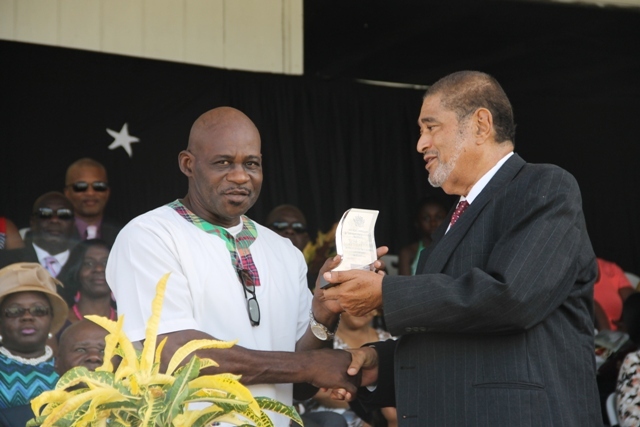 NIA CHARLESTOWN NEVIS (September 25, 2015) — Premier of Nevis Hon. 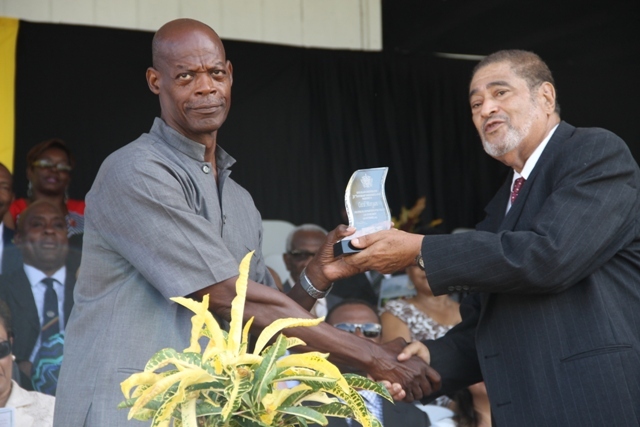 Vance Amory, applauded the 2015 Independence Awardees for their positive contributions to the development of Nevis. He was at the time delivering a speech at the 32nd Anniversary Independence Ceremonial Parade and Awards Ceremony at the Elquemedo T. Willet Park on September 19, 2015. 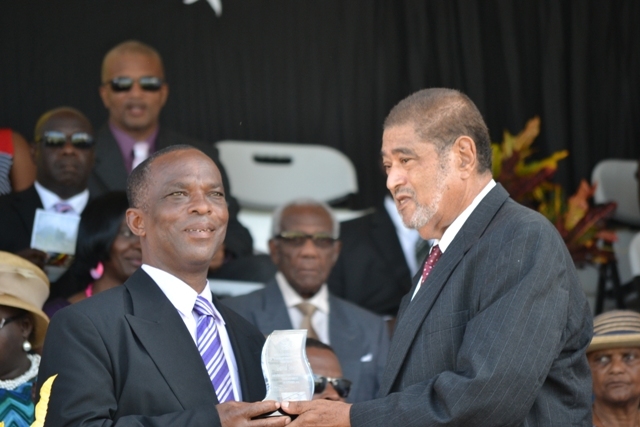 The six awardees were David Joseph in the area of Community Service; Bertin Mintos for his contribution to Construction; Ralph Allen in the area of Culture; Former Police Officers Cecil Morgan and Joseph Liburd for their contribution in Law Enforcement and Roosevelt Chapman was awarded in the area of Sports. 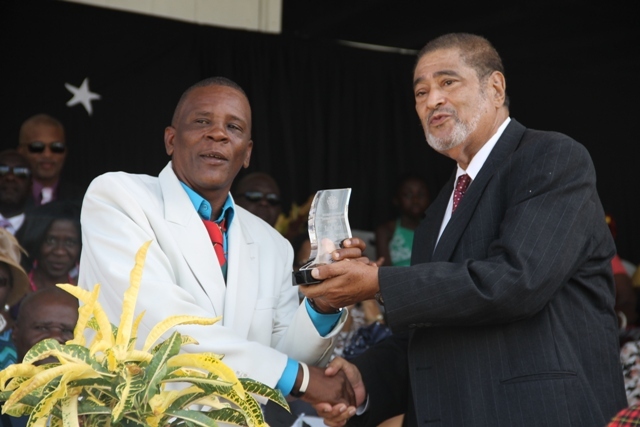 Mr. Amory said each of the awardees, in a special way, has made tremendous contributions to the life of all in Nevis and called on all Nevisians to do likewise. He also urged them to combine their efforts positively so that their accomplishments would benefit all. Meantime, the Premier also made reference to the nine persons who were honoured at the Federal level as National Heroes. He highlighted the fact that four of them were Nevisians among them the late Right Excellency Dr. Simeon Daniel. According to Mr. Amory, mention was made of their country of origin solely to develop awareness in Nevisians of the opportunities which they must use in order to contribute locally and nationally in order to gain recognition.